The Fern 6 Seater Dining Table, Erin Brown is a sturdy; premium finish dining table made up of the finest wood and a classy finish. 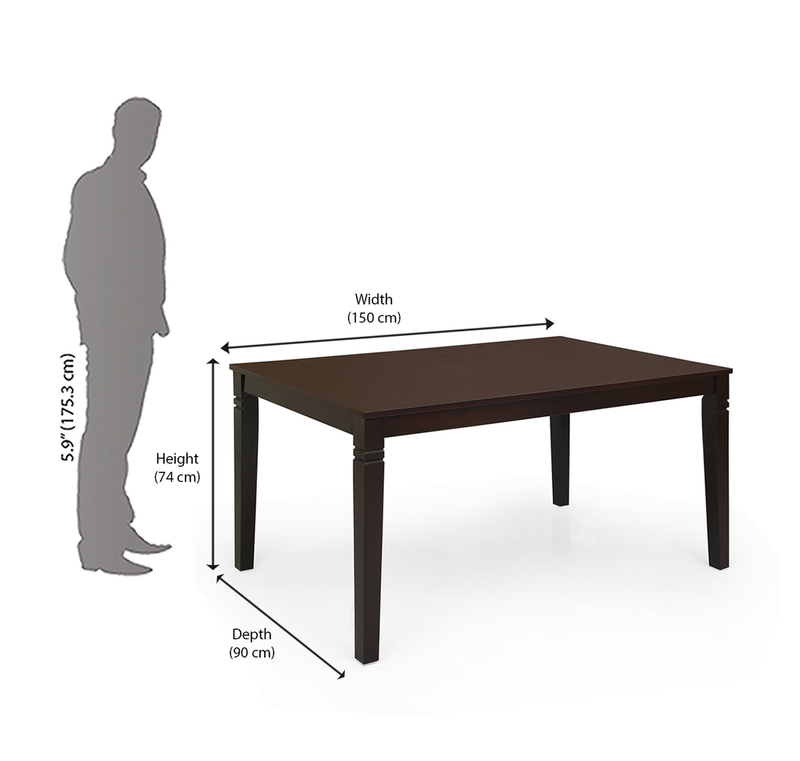 The table top is made up of the finest engineered wood providing a sturdy and fine finish. The wood legs are made up of high quality Solid Rubberwood, meaning the table just won’t give away. A melamine finish offers a premium look and feel of the table promising an enhanced dining experience. A dining table should be made out of the top-quality wood giving out an elite look and feel while at the same time being uncompromising and rugged. The Fern 6 Seater Dining Table, Erin Brown is perfect for any home, of any size. The contemporary and modern look of the table added with a melamine finish promises you high-end quality at an economical rate. The table promises authenticity and quality not found in another dining table of the kind. The Fern 6 seater Dining Table by Eric Brown is must have for any home seeking an aesthetic luxurious and above the average dining experience at a reasonable cost. Up your daily dining affair with the Eric Brown table, get yourself one from @Home.